Once a person faces death, there will only be 2 choices of where they will spend eternity. They will either enjoy being in God’s presence or be separated from him. One minute after you die you will either be enjoying a personal welcome from Christ or catching your first glimpse of gloom as you have never known it. Either way, your future will be irrevocably fixed and eternally unchangeable. Those who find themselves in heaven will be surrounded with many friends they have known on earth. Every description of heaven they have ever heard will pale in light of reality. But others will find themselves shrouded in darkness in a region of deprivation and unending regret. For them, death will be far worse than they ever imagined. So while relatives and friends plan your funeral, you will be more alive than you have ever been. You will either see God on His throne surrounded by angels and redeemed humanity, or you will feel an indescribable weight of guilt and abandonment. There is no destination midway between these extremes. I once read a tragic account about people enjoying themselves on the top stories of a tall apartment building not knowing that there was a fire burning on the lower floors. In a similar way, many people are enjoying life now, comfortably ignoring the fact that their death is not only inevitable, but much nearer than they think. Indeed, this world and all we have accumulated will eventually be burned up (2 Peter 3:10). Don’t imagine for a moment that you will get to heaven without the right credentials. You will not be there because your wife has a right to enter. You will not be there because you have a child who is already there. No, this is an individual matter, and only those with the right credentials will be allowed entry. Our problem, of course, is that God will not accept us on our terms. We cannot arrive at heaven’s gates hoping for leniency. “It is appointed for man to die once, and after that comes judgment” (Hebrews 9:27). We cannot come pleading for special favors once we have slipped from this life into eternity. Our only hope is for God to give us credit for righteous perfection we could never attain on our own. Once such righteousness is credited to our account we can enter heaven immediately at death without so much as an intermediate stop. As the Bible says, “away from the body and at home with the Lord” (2 Corinthians 5:8). Here’s how that’s possible: When Christ died on the cross, He offered himself as a sacrifice for sinners, which God accepted. “For our sake he [God] made him [Christ] to be sin who knew no sin, so that in him we might become the righteousness of God” (2 Corinthians 5:21). Though Christ was perfect, God made Him legally guilty of all of our sins. In turn, those who believe that Christ did this for them receive credit for his righteousness before God. Christ was considered to be a sinner when he took our sins on himself. In turn God considers us to be saints when we receive Christ’s righteousness. God has exceedingly high standards, but thanks to him, he meets them for us through this amazing exchange. It’s the only way we could ever enter God’s heaven! When we receive Christ’s righteousness, God also changes our whole perspective. Christ said, “Unless one is born again he cannot see the kingdom of God” (John 3:3). So, how can we receive the gift of righteousness and be “born again”? The answer is to admit our helplessness and sinfulness to God, and to acknowledge that we are dependent on his mercy. We must have a complete change of mind about whatever we were believing would make us acceptable to God. Instead we must transfer all of our trust to Christ as our sin-bearer. We must believe in Him as the One who did all that we will ever need to stand in God’s holy presence. To “believe in Christ” means that as best we know, we trust Him alone for all that we need to please God in this life and to live with him forever in heaven. Here is a prayer that you may want to use if you desire to transfer your trust to Christ alone for your eternal salvation. And if you pray in faith, God will receive you. Dear God, I know I’m a sinner and there is nothing that I can do to save myself. I confess my complete helplessness to forgive my own sin or to work my way to heaven. At this moment I trust Christ alone as the One who took on all my sins when he died on the cross. I believe that he did everything necessary for me to live someday in your holy presence. 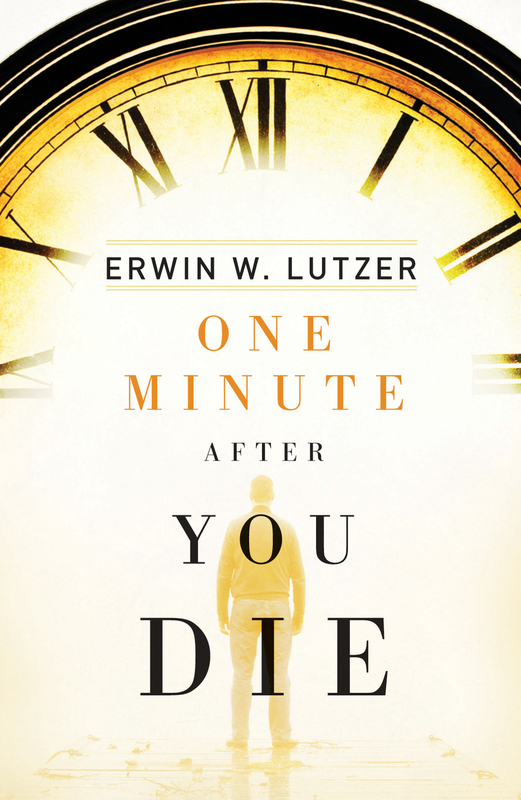 Where will you be…one minute after you die?